The Tamashii Nations Pacific Rim line has run strong throughout 2018. The final release of the year was their Pacific Rim: Uprising – Hakuja SOFVI Spirits Vinyl Figure. The figure, the smallest of the Kaiju released in the SOFVI Spirits line, measures about 11″ head-to-tail. It’s scaled to work with the Robot Spirits Pacific Rim: Uprising figures. Bluefin sent the figure along, and we have a quick gallery and review for Hakuja. The figure was released in Fall 2018, and is available via most online comic shops. It sells for about $39.99. Read on for our photo gallery and quick » Continue Reading. 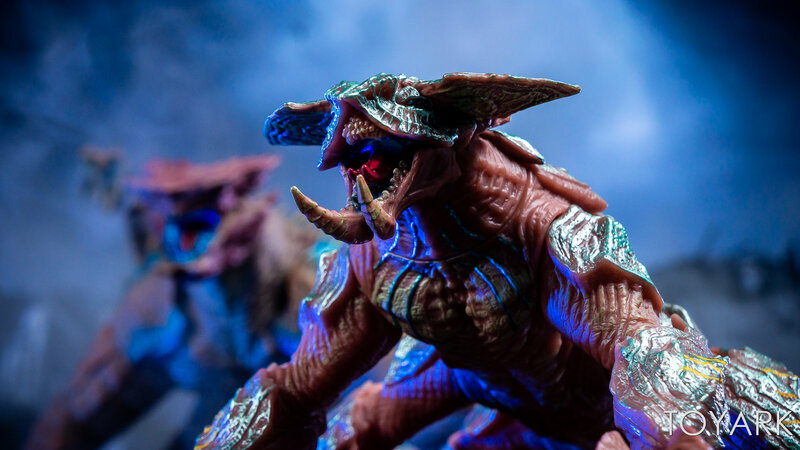 The post SOFVI Spirits Pacific Rim Uprising Hakuja by Tamashii Nations – Toyark Photo Shoot appeared first on The Toyark – News.